Jesse van de Hulsbeek is the Yoast Academy lead. He creates SEO training courses and works on the Academy’s didactic methods. Yoast Academy has just released a new training course: the Yoast SEO for WordPress plugin training for the new block editor! 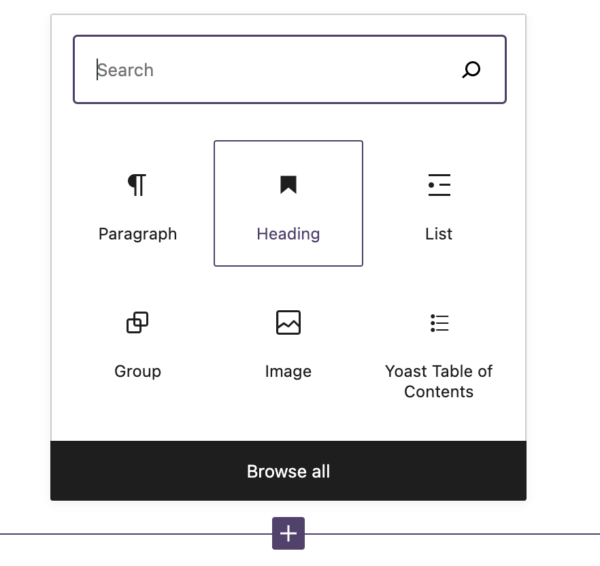 The block editor is part of WordPress 5.0 and was previously known as Gutenberg. If you want to find out how to best use Yoast SEO in this new editor this training is for you! We’ve also added information to the course on all the latest functionalities in Yoast SEO, such as the recognition of word forms, word order, related keyphrases, and synonyms. It is temporarily discounted at $29, so get it before the offer expires! If you already have the Yoast SEO for WordPress plugin training, the new course will be added to your account automatically. Refresher: What is the block editor? You’ve probably heard a lot about it during the past weeks, but let’s freshen up our memories. The block editor, previously known as Gutenberg, is the new, cutting-edge editor in WordPress that came with WordPress 5.0 on December 6, 2018. It’s one of the most talked about new features of WordPress ever. This new editor uses the concept of blocks to offer a more visual way of organizing your content. We like to compare these blocks to LEGO blocks: they allow you to build your own content all from one box, following a standardized and straightforward set of instructions. This means you no longer need shortcodes, custom fields or external code to get something done. In the classic editor, you’ve always found the Yoast SEO meta box below the post editor. However, because of the block design in the block editor, most meta boxes fit best in the sidebar. That’s why we designed a brand new version of the Yoast SEO meta box, in the sidebar, which has been part of Yoast SEO since our 8.0 release. What’s new in the training course? The revamped Yoast SEO meta box called for a revamped plugin training. In the new Yoast SEO for WordPress plugin training, we teach you where to find the functionalities of Yoast SEO in the sidebar, so you can use the block editor and the Yoast SEO plugin to their fullest potential. But this isn’t all we’ve done. We’ve also updated the course so it’s now up-to-date with the newest functionalities of the Yoast SEO plugin. In the new training, we explain everything about the brand-new SEO analysis, which was introduced in Yoast SEO 9.0. We teach you about word form support, the synonyms check, and the recognition of synonyms and related keyphrases, so you won’t miss out on these awesome features. If you don’t want to update to WordPress 5.0 yet, we still offer the plugin training for the classic editor as well. When you purchase the plugin training, you get access to the training for the block editor as well as the training for the classic editor. The Yoast SEO plugin training for the classic editor is now up-to-date with Yoast SEO’s latest functionalities too. Not sure if you want to update to WordPress 5.0? Joost has written a blog post in which he gives advice on whether you should update or not. Note that it’s still possible to try the block editor if you don’t upgrade to WordPress 5.0. Just install the Gutenberg plugin, and start working with it! Improve your editing experience and your rankings! The new Yoast SEO for WordPress plugin training really is your chance to improve both your editing experience and your rankings. Make sure you get the most out of Yoast SEO for WordPress and don’t miss any of the useful features the plugin offers. Get the course by clicking the button below. It is temporarily discounted at $29, so get it before the offer expires! This is your chance to start working with the new block editor!